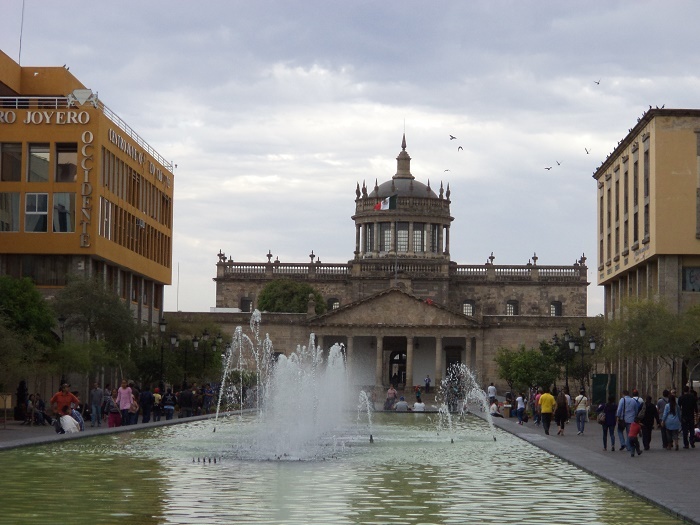 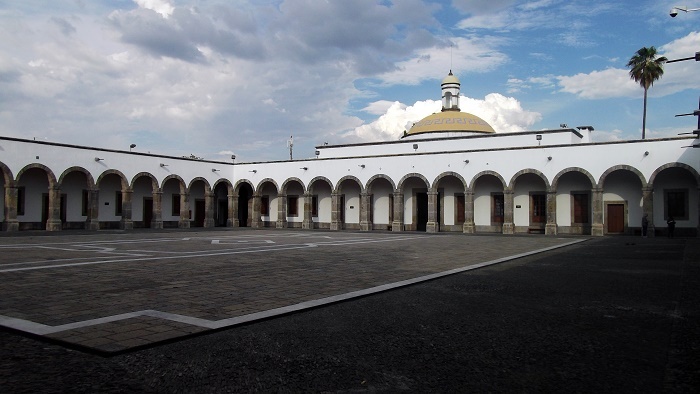 The Hospicio Cabañas is one of the oldest and largest hospital complexes in the Americas, located in the capital city of the Free and Sovereign State of Jalisco, Guadalajara, within the United Mexican States. 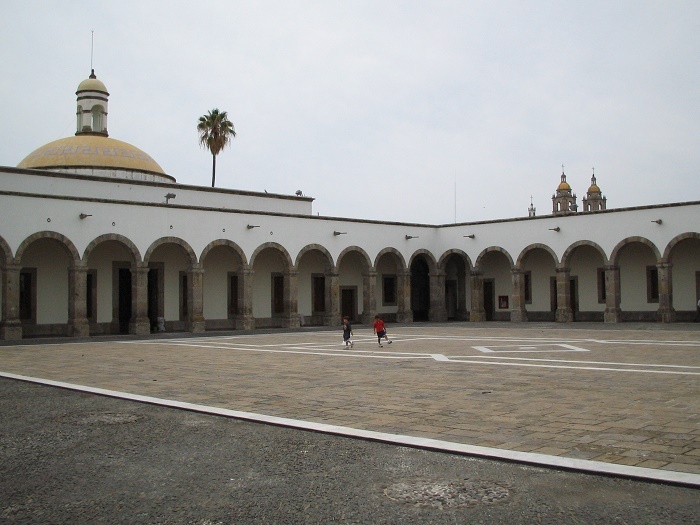 Founded in 1791 by the Bishop of Guadalajara in order to combine the functions of a workhouse, hospital, orphanage, and almshouse, it was named after the Episcopal see of Guadalajara, Juan Ruiz de Cabañas, who was appointed there in 1796. 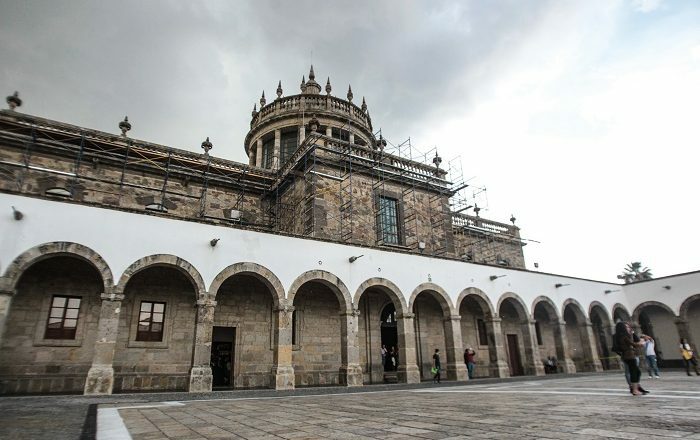 As it was providing care and shelter to the needy including orphans, elderly, handicapped and chronic invalids, the renowned architect from Mexico City, Manuel Tolsá, designed this magnificent masterpiece according to the classic examples of the complex Les Invalides in Paris, France and El Escorial near Madrid, Spain. The entire complex forms a rectangle which is 164 by 145 meters (538 by 476 feet), with a chapel dome which is the tallest in the entire complex and measures at 33 meters (107 feet) height. 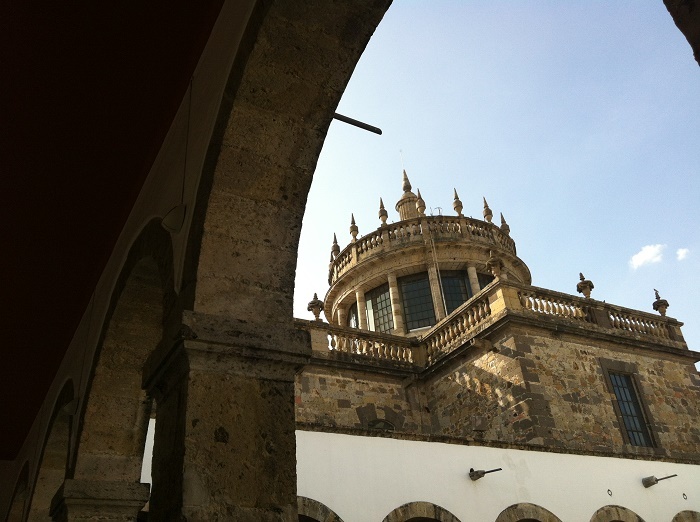 The rest of the complex is a single floor structure with 8 meters (25 feet) in height. 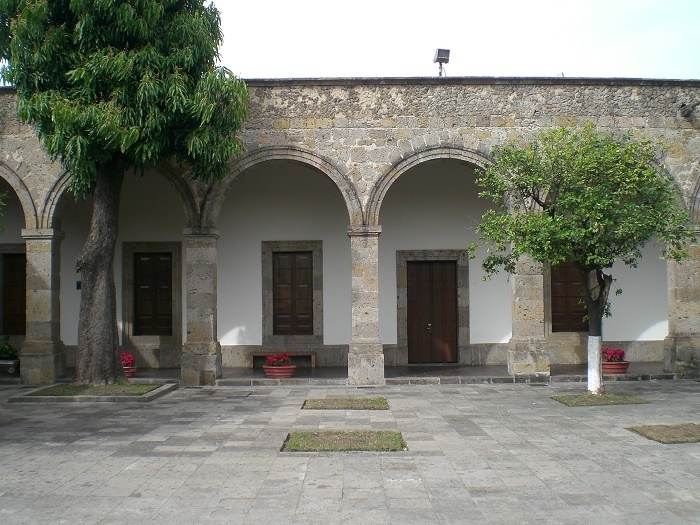 The Hospicio Cabañas has a neoclassical design, and despite its size, the hospice’s uniqueness relates primarily to the simplicity of its design, specifically its dimensions and the harmony achieved between the buildings and the outdoor spaces. 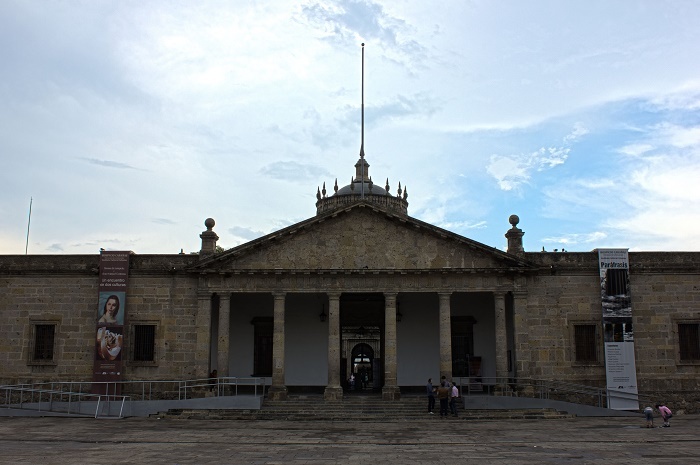 The construction lasted until 1823, when even then it served as a hospital and it continued to be so until 1980 when the Cabañas Cultural Institute, with affiliated schools for arts and crafts, moved in and transformed this unique place into a historic monument for the city and for every visitor to be impressed by its beauty. 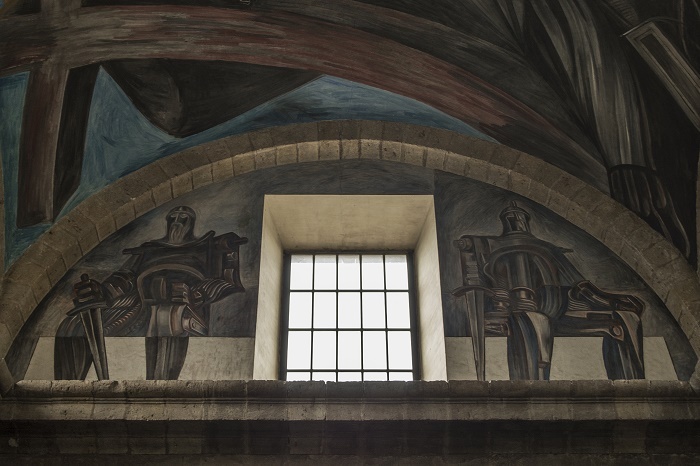 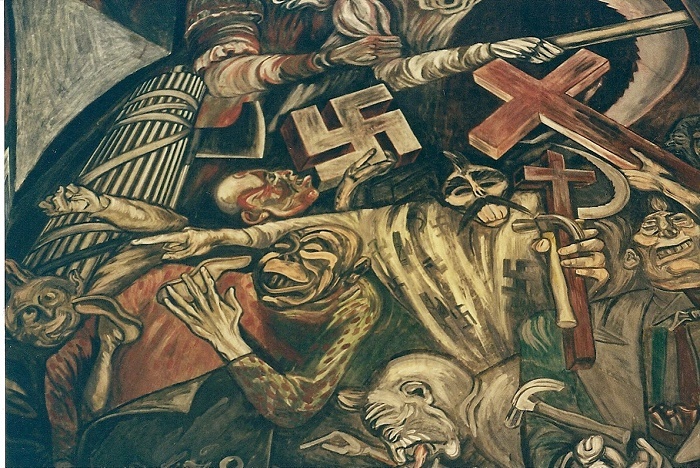 In addition, in the late 1930s, the chapel was painted with 57 alluring frescoes which were done by one of the the greatest Mexican muralists of the time, José Clemente Orozco. 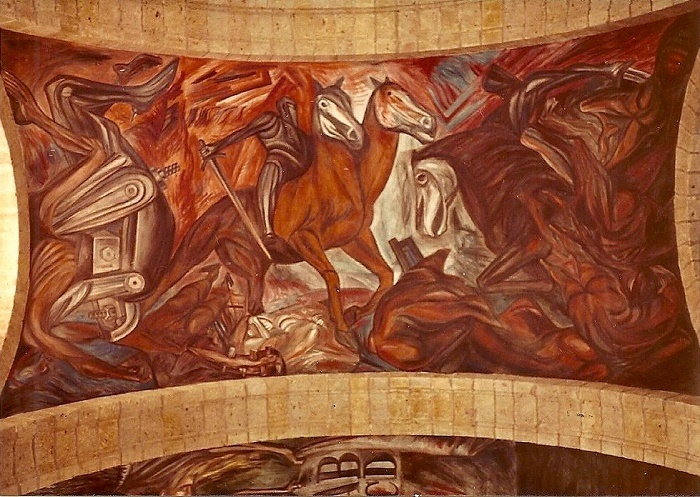 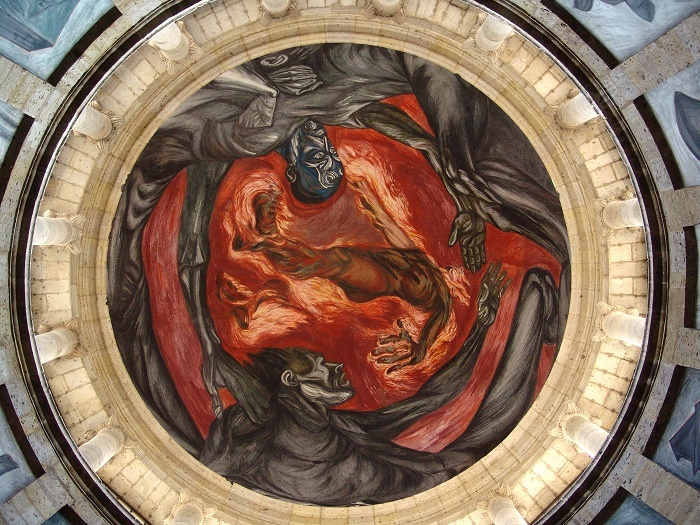 These works are considered a great masterpiece of Mexican art and illustrate both Spanish culture as well as Mexico’s indigenous culture with gods, sacrifices and temples, however, the focus is on the chapel’s dome where the allegory Man of Fire, otherwise known as El Hombre de Fuego, can be seen representing the submission of humans to machines. 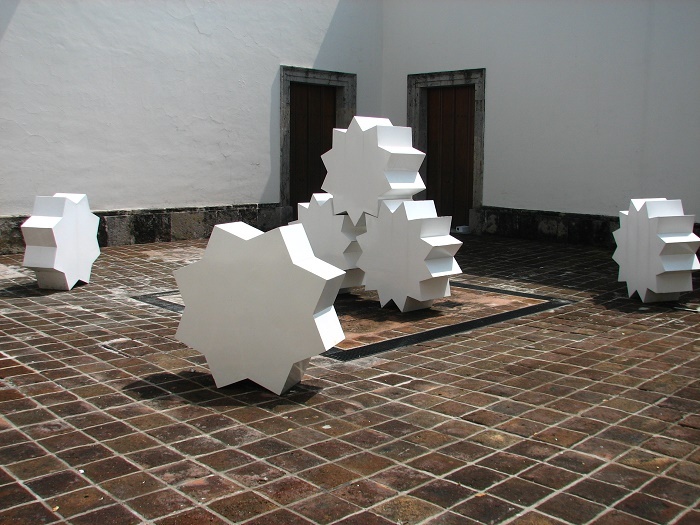 Becoming a UNESCO World Heritage Site in 1997, the complex continued to develop as the French conceptual artist Daniel Buren, in 2014 created a series of site-specific works in 18 of the 23 courtyards, with cloister columns wrapped in geometric patterns, vaults painted in bright hues and mirrored structures built to create distorted views of familiar surroundings. 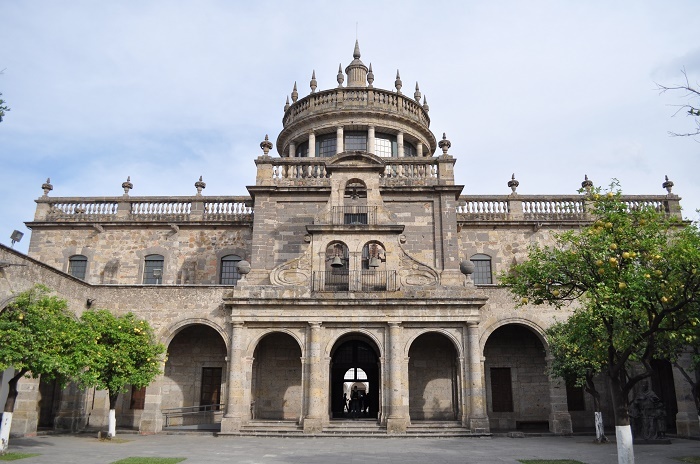 A true historic landmark of Guadalajara which still remains intact of Tolsá’s original plans, and it definitely deserves a bigger attention from the world, as it has seen plenty in its great past.